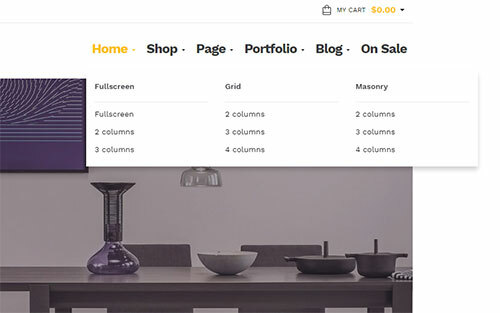 Shu – Free Multipurpose WooCommerce Theme. 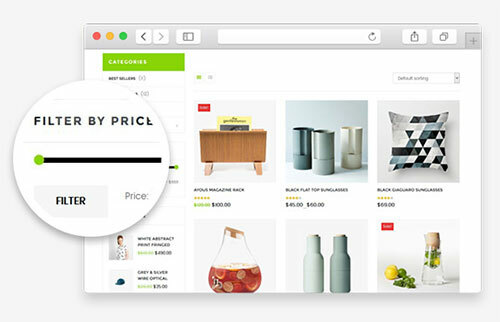 It is well designed and perfect for Fashion, Decor, Furniture, Megashop, etc, multiple shop layouts, all required shop pages and number of CMS pages. 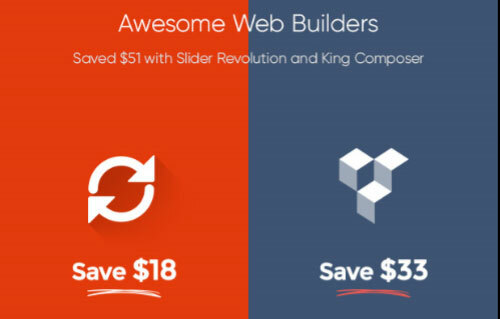 The theme is all you need to build a powerful E-Shop website. 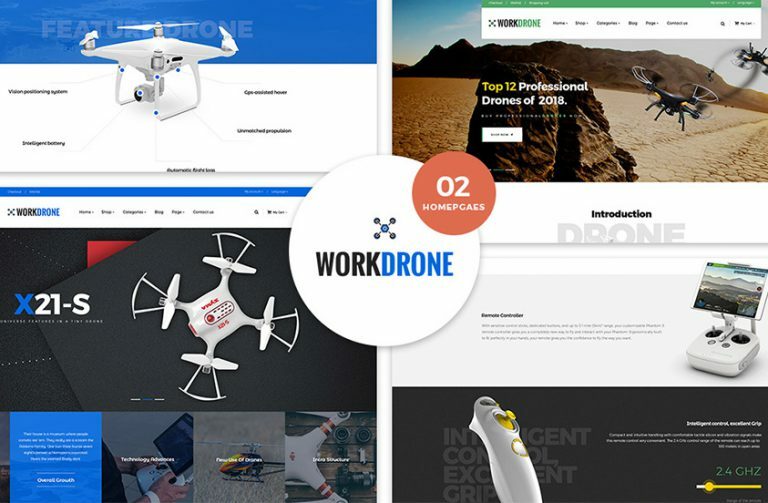 Shu is outstanding with 7 specific homepages layouts helping you feel comfortable to choose the best one for your online store. 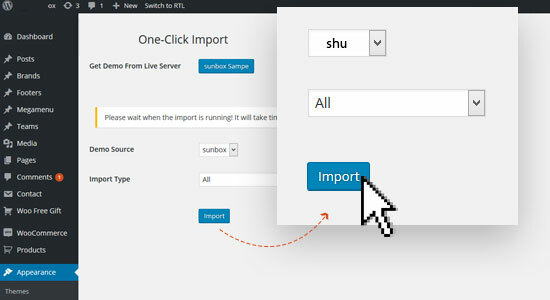 The 1-click installation allows you to build any demo with just 1 click. 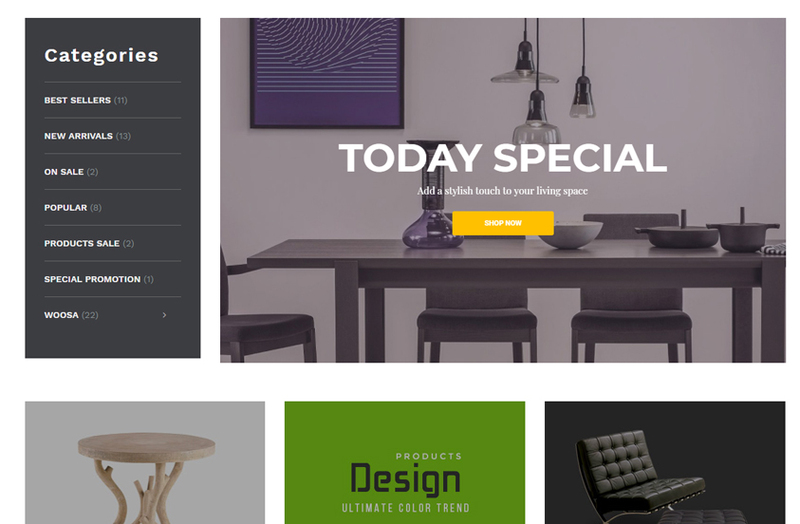 The Multipurpose WordPress Theme is easy customized based on the intuitive theme control panel that includes lots of useful options to manage your site. 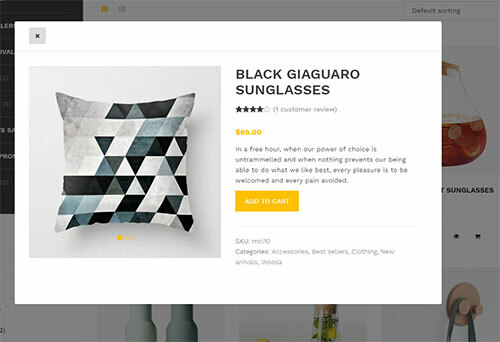 Theme is powerful with some key features such as Megamenu, Grid & List View, Quick View Product, Powerful Search & Filter, Product Detail, Ease of Customization..
Clean and minimum WordPress theme designed for Fashion, Furniture, Decor with multiple pre-made demos, multiple styles and number of additional pages. The 1-click installation allows you to replicate our demo site in just 1 click. You can also install demo content or theme settings. You have a great number of interesting options to show rich contents to your menu: images, video, text and other submenu. This makes your menu so clean and clear. 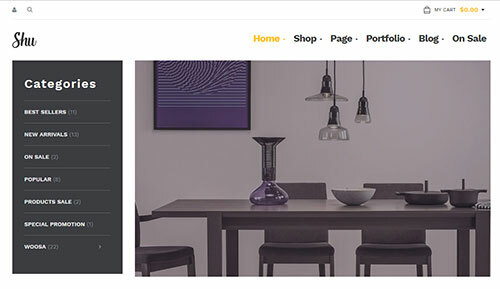 The theme integrates featured with customized design to show beautifully. 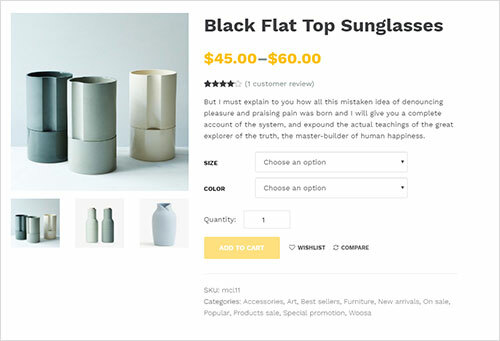 You can easily up products and customize as the way you like which your products are still displayed impressively in customer’s eyes. The advanced search and filter system allows customer to find their best fit products with ease.